The death penalty is still legal in 31 out of our country’s 50 states. Ohio is a part of these 31 states. Since 1999, 56 people have been executed in the state of Ohio alone. 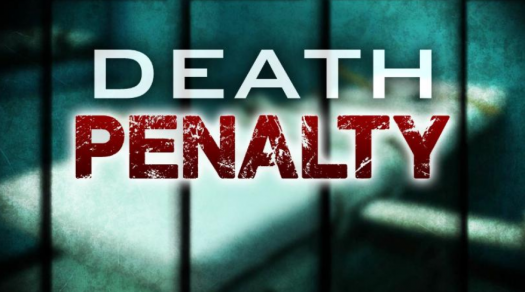 A 2014 study done by Quinnipiac University showed that 43 percent of Ohioans are in favor of the death penalty over life sentencing for murder. If the majority of the state is anti-death penalty, why is it still legal? I know that the death penalty is never the answer. No one deserves to die. The Declaration of Independence clearly states that all men have the unalienable rights of life, liberty, and the pursuit of happiness. Meaning, everyone has the right to life. The death penalty is not the way to go. Yes, most of the people sentenced to death row have taken the life of another, but these people deserve to suffer. The death penalty contradicts the constitution of our country and it lets people off too easily. You do the crime you do the time, right? Ending convicted felons lives does not make them realize what they did was wrong. It is an easy way out of a bad situation. They do not get to murder another and not have to worry about it. Death is the end of the line for everyone, meaning they really are not punished in an extreme way. They deserve to suffer, not just have something injected into them and that be the end of it. The death penalty is the easy way out. It shows criminals that they commit murder, and things of that nature, and get off without a life instead of suffering.